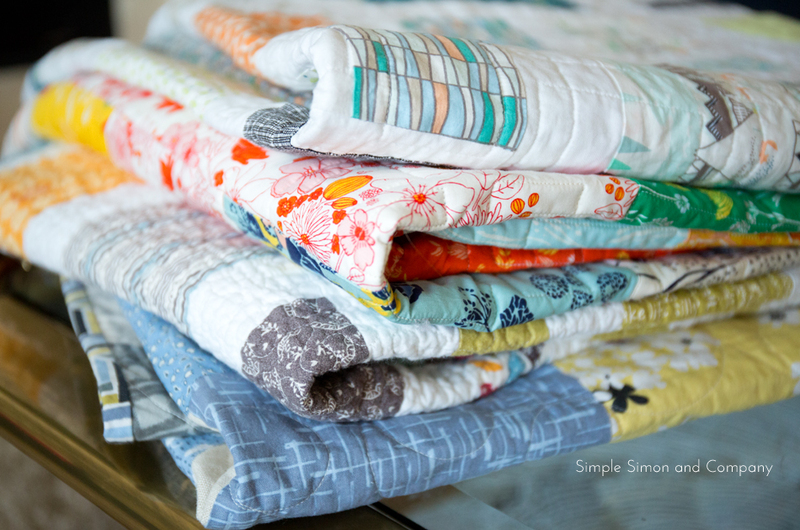 Project Run and Play: Adding Quilts and Blankets this YEAR! Adding Quilts and Blankets this YEAR! Right now our family has a little seven year old foster girl living with us, so we have been experiencing lots of firsts in our house. Little A is a darling, sweet girl but came with practically nothing that she could call her very own. When she got here there was a little doll waiting for her on her bed that we had bought for her...and she has slept with it every night. It's become a dear possession to her. I think in foster care, it's the little things. Two of my other favorite stories about blankets and foster care. One of the first days Little A had gotten here a sweet neighbor heard that she had arrived and showed up on our doorstep with a super soft fleece blanket to welcome her to the neighborhood. Yes, as a family, we had provided a new bed, new clothing and some new shoes---but that new soft fleece blanket comes with us everywhere. II will never forget the look on her face when our dear neighbor told her it was for her. Her eyes lit up and her mouth dropped open....it was a moment I don't want to soon forget. t was a gift from a stranger that showed her that she was loved. Last fall before A arrived, we had a teenage boy stay with us for the Thanksgiving break. We all knew it was a temporary situation as he was getting ready to be placed in a permanent home but we were ready to make his Thanksgiving break a good one. I had this idea that as a family we should do some sort of service project for others during one of the afternoons, so I had gone out and bought some fleece yardage on sale so we could make some blankets to give. And one evening we gathered around the table and made 5 fleece blankets to be able to donate. Not only did it make some memories for us, on the last day our teenage friend was here we left one of those fleece blankets on his bed so he could take one with him. When he left, he packed all his things and brought me that blanket as if he was going to return it....and when I told him it was his to take, he got the biggest smile on his face. Even teenage boys need a reminder that someone loves them. So, the idea hit.....and we are adding blankets and quilts to Skirting the Issue this year. Not that we want to take away from the skirts, as that was our first love and is still so needed and important! But, as one more way that those who don't sew garments (or don't sew at all) can donate to the cause. So intermingled with the skirt tutorials this year, we will also be showing you some simple blanket tutorials and even a couple of no-sew ideas that you could make with kids this year to help them understand service and compassion. As always, when you make something for Skirting the Issue, it can be donated in your local area. If you do that, if you will just send us an email (simplesimonandco@gmail.com) to tell us how many you donated. Or if you can't find a location, you can mail them to us and we promise to find the best place for your donation. And as every year, we do have some generous sponsors who are helping us along the way....so you can win some things too. And thank you....as always for what you do and your hands that are willing to help. HEAD HERE TO LINK-UP YOUR QUILTS TO THE PARTY!!!! This is so timely for me. I was recently gifted mounds of fabric and knew I was going to turn it into charity quilts, I just wasn't sure where to donate them. The very next day I was talking to my boss about my idea and she shared with me her recent foster training. That made me decide to focus there. Thanks for sharing! Love it! Our Do Good Stitches group used to donate to foster kids, but we switched. I miss it! We also learned, from that experience, that pillowcases are also needed. So we started making pillowcases to match our quilts!